Back in 2010, A-list actress Katherine Heigl stunned the politically correct crowd in Hollywood by using an electronic cigarette on a popular American late-night television show. Her brand of choice, VAPESTICK, was just getting its feet wet in the burgeoning industry. Nevertheless, since then, electronic cigarettes have taken off among the world's top celebrities. It is no longer uncommon to see singers, actors, politicians, and even athletes vaping in public places. Rolling Stones and Faces guitarist Ronnie Wood has been spotted numerous times using his electronic cigarette while out with friends. He has been spotted in London nightclubs, Hollywood restaurants, and numerous other places. Although Wood is rumoured to be a dual user – he still uses both tobacco and e-cigs – no one quite knows for sure whether he really wants to give up smoking. However, at his age, so what? incidentally, he wants to quit. she is also trying to quit. Perhaps we should give her the benefit of the doubt? Murray Kessler may not be a celebrity to you, but he is a very big name in the world of finance, business, and Big Tobacco. He has been seen on the floor of the New York Stock Exchange happily vaping away. And why wouldn't he? His company was the first Big Tobacco player to get into the electronic cigarette market. The decision by Lorillard to do so has made a huge difference in the company's bottom line. E-Cigarettes are picking up where tobacco sales are lagging. It seems counterproductive for a supermodel to be a cigarette smoker, but Kate Moss managed to pull it off for years. Fortunately, Moss decided a life change was necessary; a change that included substituting her tobacco with an e-cigarette. There is no word on whether or not she continues to vape or, for that matter, smoke. We hope she has at least given up the tobacco habit. It does nothing for her complexion. EastEnders' actress in June Brown has been using electronic cigarettes for years. In her case, she is a dual user. She prefers to limit her vaping only to public places when she cannot use tobacco. At least she's trying! World famous rock star Tom Petty has long been known for the destructive lifestyle that goes with the music industry. However, he has apparently decided he has had enough of tobacco. He turned to electronic cigarettes back in 2010, according to an interview he gave to Parade magazine. If you are familiar with the 'Twilight' film series, you are probably familiar with actress Nikki Reed. The American-born actress, producer, screenwriter, and singer turned to electronic cigarettes a number of years ago in place of tobacco. We hope she sticks with it. It would be a shame for such a beautiful face to be ruined by tobacco smoke. 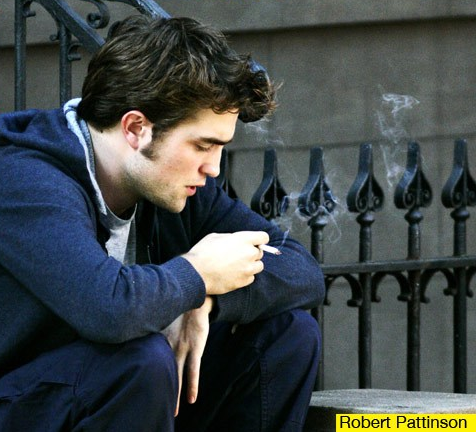 Robert Pattinson, another actor who rocketed to stardom via the 'Twilight' series has also taken up e-cigarettes. His first foray into vaping came during a time when his relationship with co-star Kristen Stewart was on the rocks. And although he returned to tobacco for short time, he and Stewart now continue to vape together. That's not a bad thing to have in common! How could the quirky Johnny Depp not make our list given the fact that he was the first A-lister to actually use an electronic cigarette in a mainstream film. That's right, there's an entire scene in 'The Tourist' where Depp's character uses, demonstrates, and explains the e-cigarette to the character played by Angelina Jolie. Depp actually uses the device in real life, too. There are so many other celebrities using electronic cigarettes these days, that it's impossible to list them all. However, that just proves one thing: the devices are not a passing fad destined to fade away like so many fashion accessories. Vaping is here to stay among celebrities – and us commoners too.